When the book you’re holding can move you to tears with the intense honesty and beauty of a single sentence, you know you’ve got a gem. This little book is one of them. 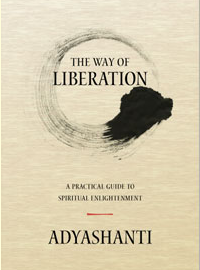 Whereas many can get lost in trying to put words to that which defies conceptualization, Adyashanti remains true to his intent to write “a stripped down, practical guide to spiritual liberation.” For all it’s simplicity and practicality, this book sacrifices nothing in the way of power and poetry in expressing the naked Truth.